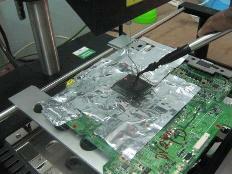 We Repair All Model Laptop and Desktop Computer Motherboard. Motherboards control the following hardware such as Audio, Video, Power, USB, Firewire, and Keyboard/Touchpad. If you’re experiencing issues with any of your hardware then let us diagnose the issue free of charge. Often this is cheaper than swapping out your Laptop motherboard with new one. Feel free to contact us with any questions regarding your laptop motherboard repairs and our services via email or Phone. Call Now on: 07912390678/ 07944384247.